Valued Activated alumina, molecular sieve, pseudoboehmite, catalyst, alumna balls are here. In Chinese market, KMNO4 filtration scrubbing media is two kinds of method to produced. One is immersion, another is mixed. In China, only our factory adopts mixed method to produce KMNO4 Filtration scrubbing media. Other all factories use immersion method. What difference of mixed and immersion type? Simply, the production method is different. 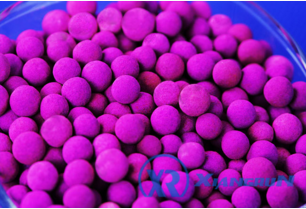 Mixed impregnated activated alumina with potassium permanganate will mix potassium permanganate with AL2O3 and other mateirals, then roll the material to balls and burned it. The immersion activated alumina impregnated activated alumina will immerse the activated alumina into potassium permanganate for several hours. From the method, you will know which method is better. You will ask" How to distinguish mixed filtration alumina media with immersion alumina media?" The Method is very easy. The immersion type looks more nice and same color, but mixed alumina balls has white balls in it. But, when you crush the white beads, its ineer is purple. And when we crush the purple immersion alumina beads, its inner is white, not purple. If you just buy activated alumina impregnated with potassium permanganate, please check your beads. Choose us is you right choice. How to buy KMNO4 filtration scrubbing media? You will feel well when you cooperate with us. Why not? Come on! Do you need Pseudoboehmite Alumina MSDS? Pseudoboehmite is material of catalyst, binder, desiccant and catalyst carrier. It used in nitrogen fertilizer, environmental protection, medicine, petrochemical industry, refractory and other industries , which is the most widely used material of catalyst and catalyst carrier. Pseudo boehmite is Non-toxic, tasteless, odoress, white colloidal (wet) or powder (dry), high purity, good forming performance, and thixotropic gel characteristics. Activated alumina filter has several application with different promotors, materials and different temperature and other situation. What is activated alumina filter? We think activated alumina could remove some unuseful gas or others called filter. 1. activated alumina impregnted with KMNO4/activated alumina impregnated with potassium permanganate. Activated alumina material mixed with potassium permangante could highly remove H2S, SO2， HCHO and some harmful gas. 2. Activated alumina defluorination filter. 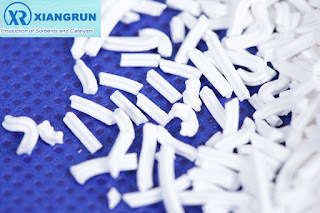 Activated alumina material could manufacture activated alumina defluorination filter, which production is different with activated alumina desiccant. And it could remove arsenic in water. Activated alumina material is added with some promoter could highly remove chloride. It is welcomed by the oil industry. Polyethylene (PE) is the most common plastic precursor and is used in a range of applications. activated alumina with some promotor could be used for HDPE purification. 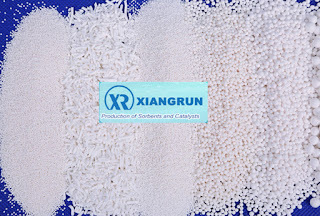 XR102 Activated alumina ball is catalyst in Claus sulfur recovery unit. It is suitable for oil refinery with H2S acid gas, natural gas purification desulfurization plants, city gas plant, petrochemical plants and the Claus sulfur recovery in chemical plants. And, some applications may require promoted activated alumina, titania/alumina, or even titanium dioxide. This promoted activated alumina for COS sulfur recovery refer to XR401 Hydrolysis sulfur recovery catalyst and XR401@T TiO2-based Sulfur recovery Catalyst. The alumina is as the basic carrier of composite COS activated alumina adsorbent. XR125 COS alumina adsorbent adopts physical adsorption, which could adsorb H2S, CS2, CO2 and H2O in the gas phase of hydrocarbon. 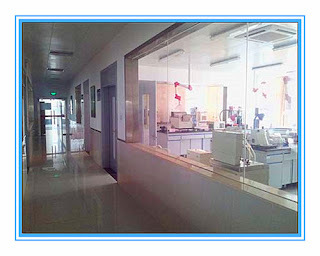 As professional activated alumina filter factory, it is our responsible to offer our good qualified activated alumina filter to you. How much is the activated alumina filter? It is a good preferential policy in Zibo Xiangrun. How is the alumina market in 2016? Our alumina price will not reduce or increase in this year, including pseudoboehmite, activated alumina, alumina balls and molecular sieve. How is the alumina market in 2016? In 2015, alumina market was in the lows. In China, It is great impact in alumina market. How is the 2016? Whatever 2016 is, Zibo Xiangrun and Shandong BaiRui will do our best to manufacture standard products to service our customers. Our alumina price will not reduce or increase in this year, including pseudoboehmite, activated alumina, alumina balls and molecular sieve. In this year, our research department will developing more new developed alumina products. Our customers could arise your idea and we could offer our sincere reply as our condition. COS activated alumina, sulfur recovery catalyst , large pore pseudoboehmite are welcomed in these years. Please our customers don't stay in there. Let's go! You don't worry about our service. Any questions are ours. We will bear them! About bohmite, the different people have different calling. Pseudoboehmite, pseudo boehmite and boehmite, even disperse alumina are all the same alumina powder. About pseudo boehmite alumina MSDS, in here we share again though our plat have its links(http://www.aluminaadsorbents.com/Upfile/201617/2016010761217641.pdf). You could download for your requirement. If there are any questions, please never hesitate to let us know. Thanks! Pseudoboehmite price and application, do you know? Some people wants to know how to use pseudoboehmite. In here we will introduce pseudoboehmite. Pseudoboehmite is a adhesive, catalyst carrier , raw material and catalyst. 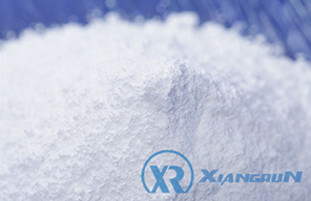 It has large surface area in Alumina, so he could used for improving surface area in products. It is mainly used for nitrogenous fertilizer, Oil and chemical industry, paper industry. Pseudoboehmite price is higher than common alumina. The price is about $1.5-2.2/kg. “图片窗口”主题背景. 主题背景图片创建者：dfli. 由 Blogger 提供支持.